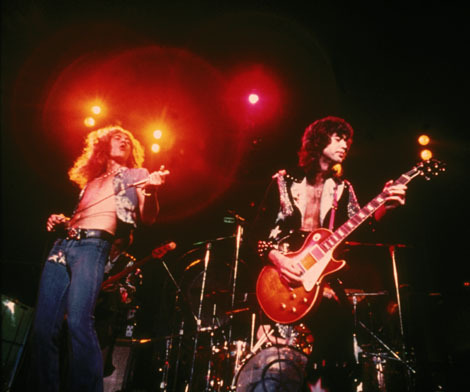 Yet another Led Zeppelin rumor? So I read today that Peter Mensch, Jimmy Page’s manager is stirring the Zep pot again. Enough with this humor/rumor business. Why can’t these guys just make up their minds and say out loud what we all know they really want to do? I have no problems personally with Page, Jones and Jason Bonham going out with a singer of their choice. The guys are awesome enough to be a must-see under any circumstances. Whether they go as Zep is another question, but, to my mind, I’d rather see them as Zep than not see them at all. I don’t get Robert Plant. I mean, his gig with Alison Krauss is cool, but where’s the balls in that? So okay, finish the tour and then do the Zep thing. Surely he couldn’t have been treated so badly in the old Zep that he can’t stand to work with these guys again? He’s worked with Page many times in the past. I have a sneaky feeling that he can’t really do those tunes anymore (I mean, the way he did them years ago). Please please, guys, don’t take Steven Tyler out with you as a singer. That would be a disaster of epic proportions. Maybe David Coverdale, or Myles Kennedy, or Ann Wilson, as some forums are suggesting. Steven Tyler with Zeppelin would be like Mick Jagger fronting the Beatles. An abomination! In any case, its going to be scramble to get tickets for this. Mark my words. These will be some of the hottest scores for 2009. This entry was posted in Music news by bryanknower. Bookmark the permalink.